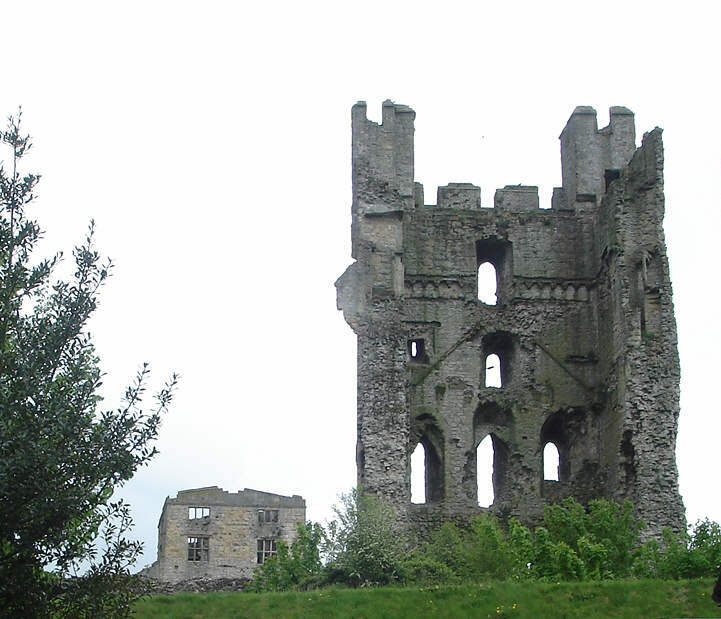 The great tower of Helmsley Castle, seen from the east. The original roof line is clearly visible half way up the tower as a pair of diagonal lines, reaching a peak just below the top window. The tower was originally three storeys high, with another two storeys added around 1300.